nikakihijau: Nasi Lemak Sabah for Lunch! 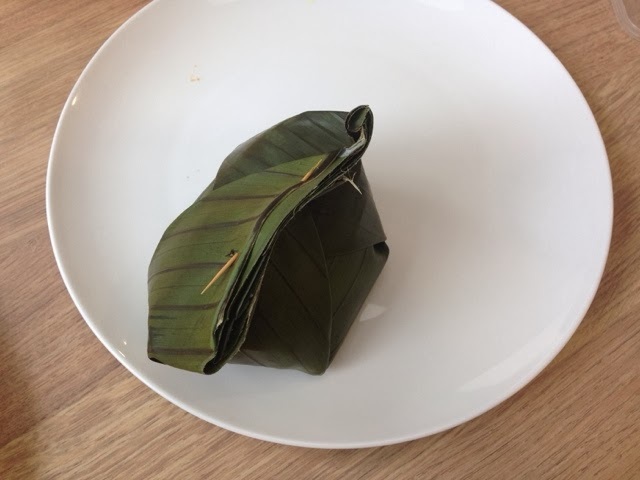 The nasi lemak is nicely wrap in a beautiful leafy form. 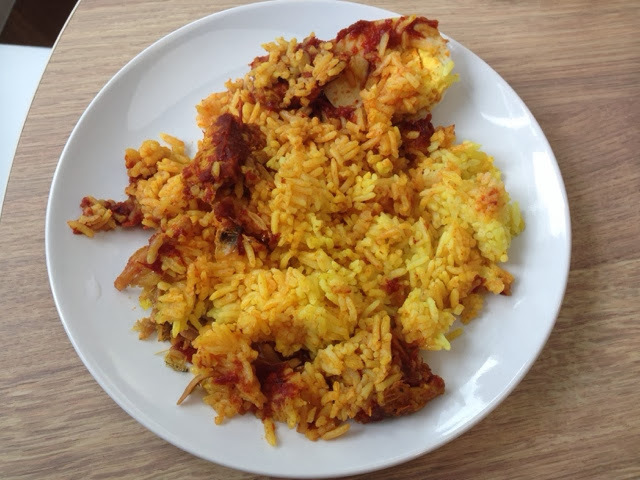 The rice is in yellowish color. Eveything is normal here. You have eggs, sambal, the fried anchovies except the cucumber. To me it's kind of unique but to be frank, I have never find this nasi lemak for the past 6 months I'm in Sabah. Hehe. 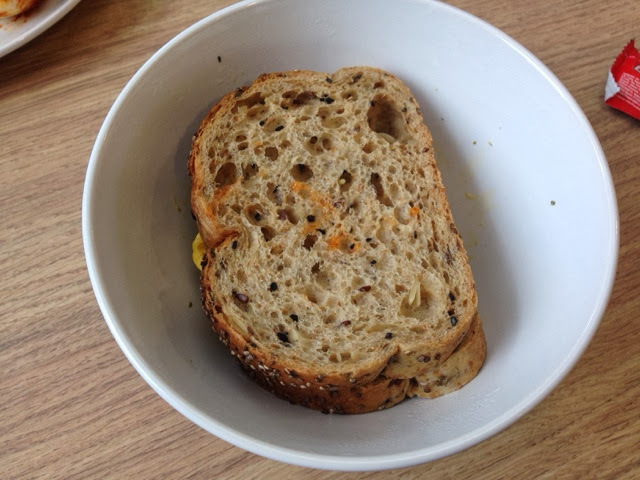 So for me, my lunch is just a simple bread with egg cooked inside oven. 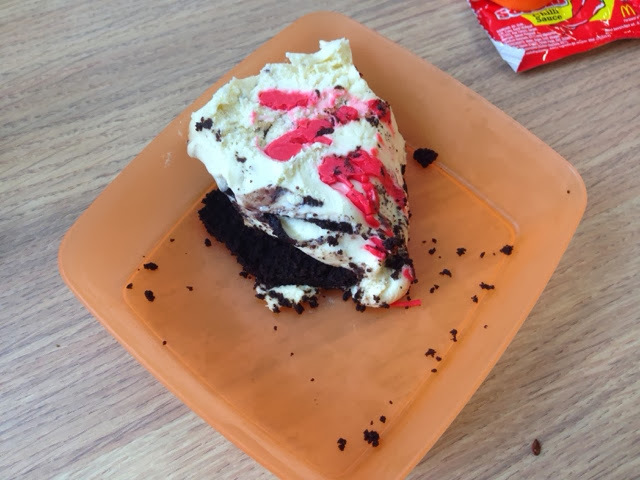 Also, I have a dessert to compliment my lunch from Secret Recipe.